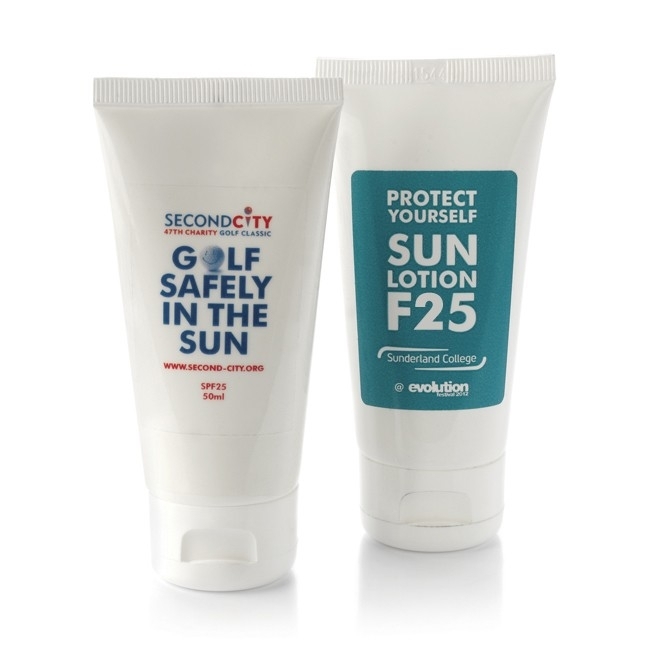 50ml tube of SPF25 Sun Lotion. Formulated with Coconut Oil that provides UVA and UVB protection. White tube with flip-top cap. Product Dimensions: 115mm x 35mm Diameter. Print Area: 50mm x 30mm. Please complete the simple enquiry form to receive a full quotation including origination and delivery charges based on your location within 2hrs. To discuss a range of products give us a call and we will put together an ideas list for you.